Spring is the perfect time of the year to start eating healthy! 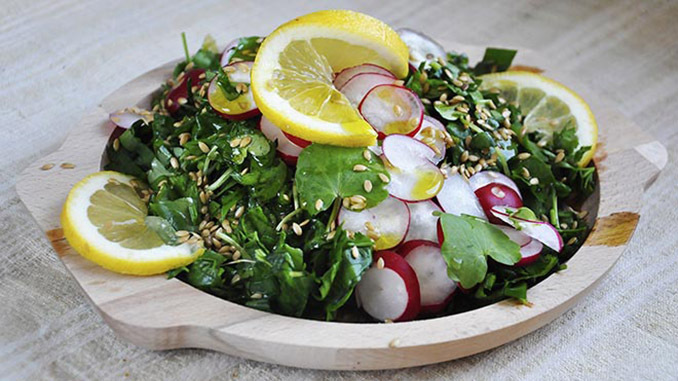 Whether you’re just starting to detox for the first time or already consider yourself a seasoned veteran; This salad will taste extremely refreshing and have you ready to go outside and start enjoying the great weather. 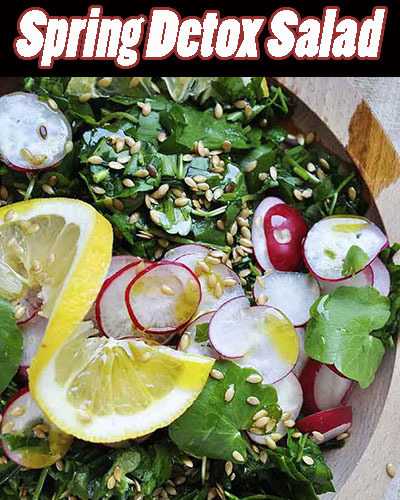 Get your salad bowl ready and follow the directions below to make this delicious spring detox salad recipe now! 1) Make the salad dressing first. Then, add all of the ingredients together and mix them well. 2) Next, be sure to rinse all produce well and then chop up the greens and veggies. Mix them together and then serve with golden flaxseeds on top. 3) Add dressing only right before you serve the salad. This salad only takes about 10 minutes to prepare and will make 2 generous size servings.